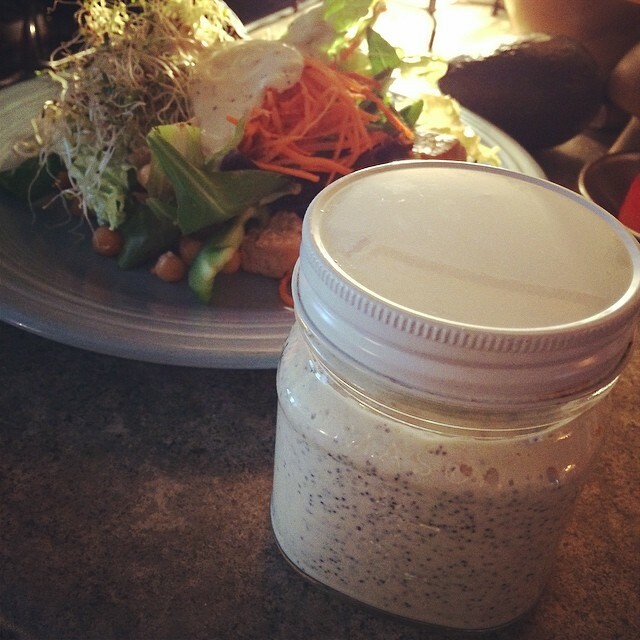 This dressing is an awesome go to dressing, packed with protein, fiber, nutrients and minerals all without any added oils or fats. Amazing on mixed fresh greens. Blend all of the ingredients, except the poppy seeds, together in a high powered blender. Add more water if a thinner dressing is desired. This entry was posted in dressings, energy, Gluten Free, nuts & seeds, omega 3's, RAW and tagged crossfit fuel, Dressings, energy, gluten free, oil-free, protein, raw, salad, salad dressing, save the planet, strength fuel, strong fuel, VEGAN, vegan crossfitter, vegan crossfitting. Bookmark the permalink.